"It's out of temper, I think, I've pinned it here, and I've pinned it there, but there's no pleasing it!" —Lewis Carroll [Charles Lutwidge Dodgson] (1832–1898), British writer, mathematician. Alice and the White Queen, in Through the Looking-Glass, “Wool and Water,” (1872). The White Queen mine is situated in the center of the W2SE4 Sec. 24 T9S R2W SBM, on the upper western slope of Hiriart Mountain. The deposit was located by Frederick M. Sickler on June 8th of 1901. According to Fred, several years before the turn of the century, he and his brother Allan had been hunting for mineral specimens on a unnamed mountain, east of Pala. At that time they found quartz crystals, lepidolite, pink and blue tourmaline, and a bit of lilac colored mineral about 3 inches long. When news that two sheep herders had located a mining claim on the mountain, Fred returned to the spot where he had found lepidolite years before, and subsequently staked his claim. Not long after the date of the White Queen location, the surrounding vacant public lands were temporarily withdrawn and removed from mineral entry under the United States land and mineral laws pursuant to Secretarial Order dated January 24, 1903. This order was a temporary withdrawal pending acquisition of all private inholdings, including valid existing rights, for the benefit of the Pala Tribe, under Indian tract allotment pursuant to the Act of January 12, 1891. In 1906, Kunz described further development as an open cut in the main ledge, which revealed lepidolite and gem pockets. The primary production was described as Salmon-pink lithium beryls, some being very fine specimens. 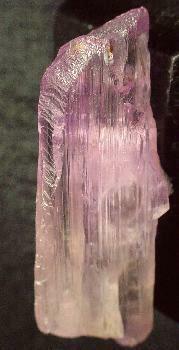 Minor amounts of gem tourmaline were encountered, but no kunzite production was reported. On August 27th, 1938, Marion M. Sickler deeded the mine to his son Fred for 1 dollar and 'love and affection'. Fred eventually sold the mine to George Ashley in 1947, whom subsequently sold the mine to Norman E. Dawson of San Marcos in 1948. Dawson did a small amount of work on the claim due to its location on the top of the mountain. Around 1959 a road was built beginning on the Fargo at the base of the mountain, extending across the El Molino, and up to the White Queen, for a total distance of 1.25 miles of roadway which took nearly a year to construct. In the course of road building on the White Queen claim, a deposit of lepidolite was encountered. An open pit was developed which produced several quartz pockets and some morganite crystals. Later attempts to develop a drift at this point were unsuccessful due to the broken structure of the pegmatite. With the help of his sons, Kenneth and Robert, and son-in-law Roger Helsel, a new location was established approximately 150 feet above the open cut. Soon after breaking the surface, a pocket containing over 100 pounds of dark blue tourmaline was discovered. By 1963, A small exploratory drift was developed for 25 feet along the pegmatite using a pneumatic hammer and mucking by hand-pail; encountering increasing amounts of lepidolite, albite, orthoclase, amblygonite and quartz. At this point a pocket was encountered that began to yield ton after ton of large tan and pink montmorillonite-coated quartz crystals (lithia quartz). 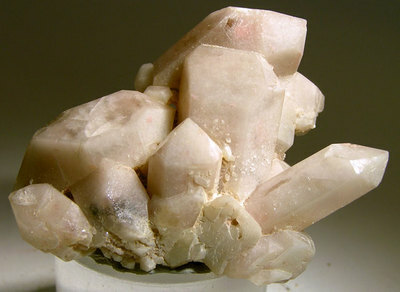 As the workings progressed deeper, the pocket clay of cookeite, montmorillonite, and iron-stained kaolinite, began to yield several morganite crystals. 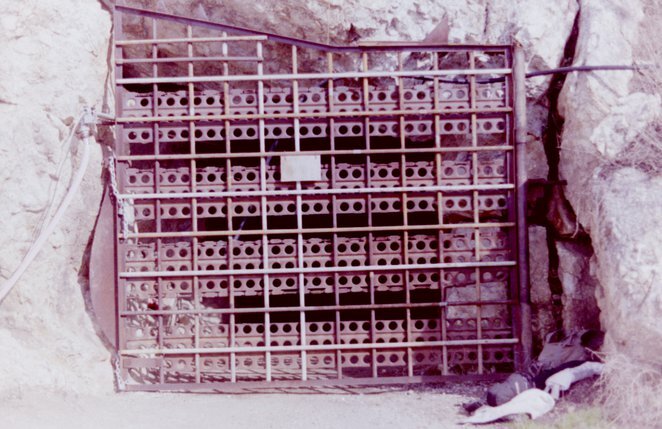 In 1966, another adit was constructed further down the mountain to access the pocket zone at depth, which when encountered yielded several large cathedral-style lithia quartz crystals up to 600 pounds. 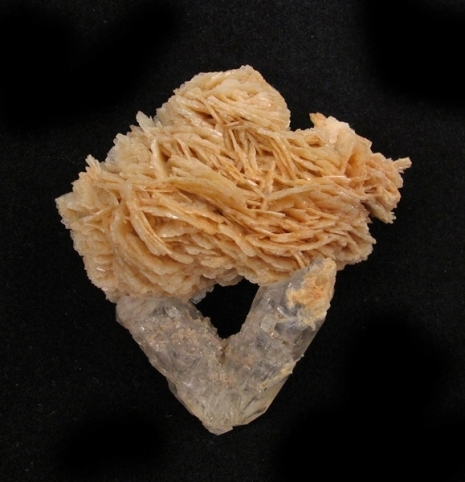 Several fine peach-colored beryl crystals of exceptional gem-quality were recovered, including many fine morganites on a matrix of cookeite encrusted cleavelandite. A near flawless 178 carat faceted morganite of exceptional orangey pink color was faceted by Spencer Barnhart, was sold to the Smithsonian Institution, together with a 8 x 11 x 5 inch morganite on matirx specimen - the largest beryl measuring 4 inches across by 6 inches long laying at an angle on a group of beryl crystals. The discovery was described as probably the finest examples of morganite to be mined at any time on the North American continent. 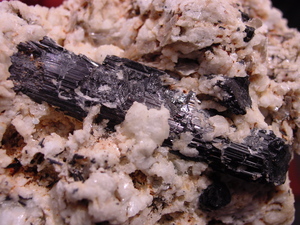 Other minerals found included dark blue tourmaline, columbite-tantalite group minerals, phosphates including fluorapatite crystals and massive lithophilite and amblygonite. In 1973, another large pocket was discovered which yielded about 6000 kg of quartz crystals and 30 kg of morganite. 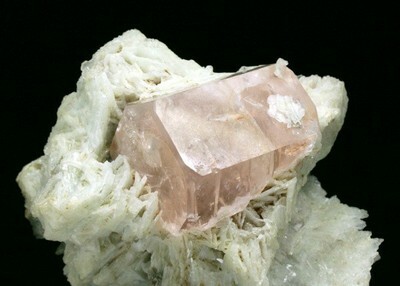 Occasional finds of smaller morganite crystals on cleavelandite matrix were made between 1974 and 1989 while scavenging within the old underground workings. 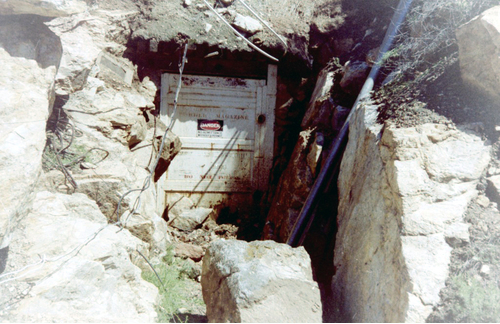 In 1990, Robert and Kenneth Dawson, together with several partners, developed a new adit below the previous openings to intersect the system of pockets exploited earlier at greater depth. In September, and soon after reaching the pegmatite, they encountered a large pocket from which they obtained around 200 specimens of peach to salmon colored morganite measuring between 2-3 inches diameter and about 1.5 inches in thickness. Specimens from this pocket are widely regarded as the finest produced from the mine. 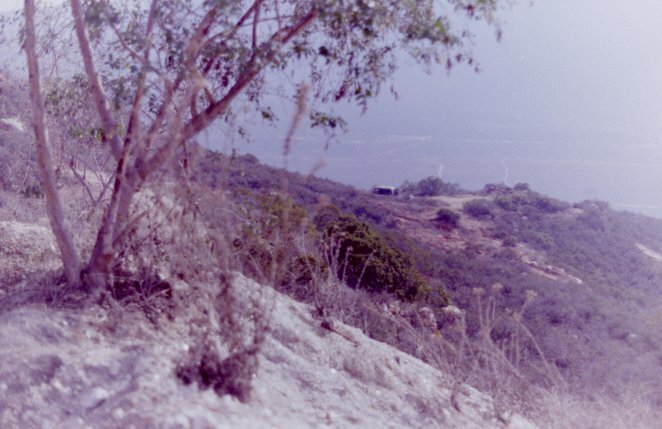 In the early 1990's the Secretary of the Interior, through the delegation to the Bureau of Land Management (BLM), investigated the bona fides of the mining claim to determine any encumbrance of an allotment application (trust patent) filed by the Bureau of Indian Affairs on behalf of the Pala Tribe on June 19, 1980. The claim was adjudicated and in 1992 it was declared invalid from the beginning, or void ab initio. The land is now managed for the benefit of the Pala Band of Mission Indians by the Bureau of Indian Affairs (BIA). 1. 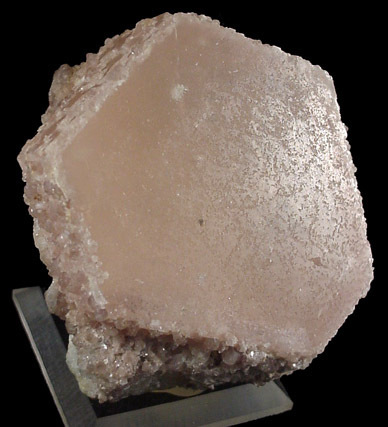 Reputed by Frederick M. Sickler to be the first discovery of Kunzite in the area. 2. The nearby Sempe lode was discovered and first located under the general mining laws by Bernardo Hiriart and Pedro Peiletch on June 7th of 1901 (one day prior to the location of the White Queen lode by Frederick M. Sickler). According to Kunz and others, the two Basque Frenchmen, Bernardo Hiriart and Pedro Peiletch, were active gem prospectors and miners in the Pala area between 1901 and 1912. Reference: Jesse Fisher (2011) Mines and Minerals of the Southern California Pegmatite Province. Rocks & Minerals 86:14-34. Reference: Dawson, N. E. (1963), Development of the White Queen Mine. Lapidary Journal Magazine, Volume 17, Number 5: pages 522-525, photographs. Description: Contains Rb & Sr.
Reference: Lapidary Journal, (1966), Morganite: aquamarine's peachy-colored cousin found at Pala, Calif. Vol. 19, No. 11: p. 1220, 1222, illust. ; Riley, G. H. (1970b), Excess 87Sr in pegmatitic phosphates. Geochim Cosmochim Acta 34: 729. Reference: Min.Rec. : 20(5):399.; Jesse Fisher (2011) Mines and Minerals of the Southern California Pegmatite Province. Rocks & Minerals 86:14-34. Reference: Novák, M. & Taylor, M.C. (2000): Foitite: formation during late stages of evolution of complex granitic pegmatites at Dobrá Voda, Czech Republic, and Pala, California, U.S.A. Canadian Mineralogist 38, 1399-1408. Reference: Jahns, R. H. and Wright, L. A. (1951), Gem and Lithium-bearing pegmatites of the Pala District, San Diego County, California. California Division of Mines special report 7A: 31-32. 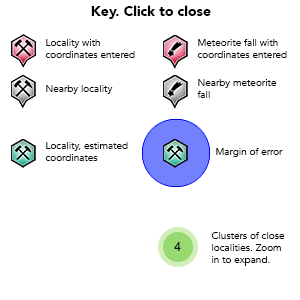 Description: Orthoclase and microcline are widespread constituents of the pocket zones in the pegmatites where they generally form large, equant crystals with well-developed faces. 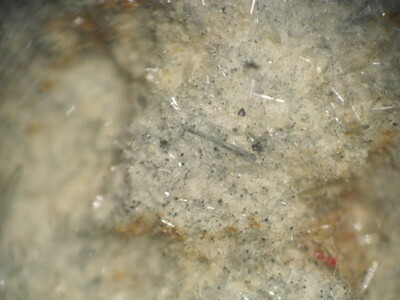 The orthoclase is intimately associated with perthite, and is more abundant than the perthite in the pocket pegmatite of some dikes. 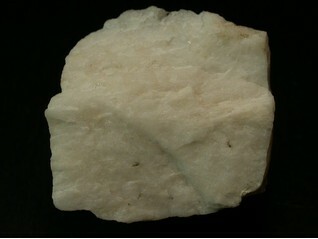 In general, however, the orthoclase constitutes only a small fraction of the total potash feldspar within the dikes as a whole. Reference: Jahns, R. H. and Wright, L. A. (1951), Gem and Lithium-bearing pegmatites of the Pala District, San Diego County, California. California Division of Mines special report 7A: 31-32; Dawson, N. E. (1963), Development of the White Queen Mine. Lapidary Journal Magazine, Volume 17, Number 5: pages 522-525, photographs. Reference: Fisher, J., 2002, Mineralogical Record 33(5), 363-407; Jesse Fisher (2011) Mines and Minerals of the Southern California Pegmatite Province. Rocks & Minerals 86:14-34.
ⓘ Spodumene var: Kunzite ? Reference: Kunz, G. F. 1905. Gems, jeweler's materials, and ornamental stones of California. California State Mining Bureau bulletin 37: p. 86. Kunz, G. F. (1905), Gems, jeweler's materials, and ornamental stones of California. California State Mining Bureau bulletin 37: pages 31, 84-87, 133. Dawson, N. E. (1963), Development of the White Queen Mine. Lapidary Journal Magazine, Volume 17, Number 5: pages 522-525, photographs. Weber, F. H. (1963), Geology and mineral resources of San Diego County, California. California Division of Mines and Geology, County Report 3: p. 115. Lapidary Journal, (1966), Morganite: aquamarine's peachy-colored cousin found at Pala, Calif. Vol. 19, No. 11: p. 1220, 1222, illust. Riley, G. H. (1970b), Excess 87Sr in pegmatitic phosphates. Geochim Cosmochim Acta 34: 729. Robinson, George W. & King, Vandall T. (1989), What's New in Minerals? Sixteenth Annual Rochester Academy of Science Mineralogical Symposium. Mineralogical Record, Volume 20, Number 5: p. 399. U.S. Bureau of Mines, (1994), Directory of Principal U.S. Gemstone Producers in 1993; U.S. Bureau of Mines, Mineral Industry Surveys, P. 16. Sinkankas, J. (1997), Gemstones of North America. Vol. 3. 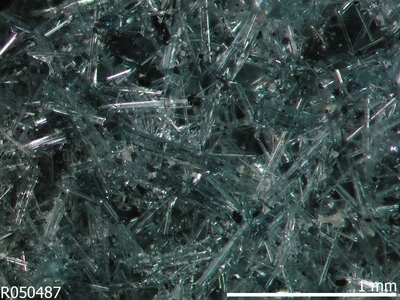 Beryl; Tucson, Arizona: Geoscience Press Inc.; pages 58-59, 480. Dunning, Gail E. & Cooper, Joseph F. Jr. (1998), Namibite: A Summary of World Occurrences. Mineralogical Record, Volume 29, Number 3: p. 164. 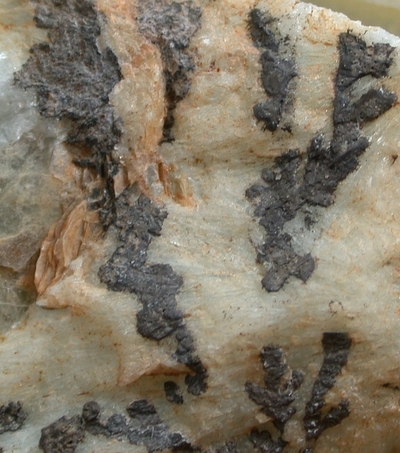 Fisher, Jesse (2011), Mines and Minerals of the Southern California Pegmatite Province. Rocks & Minerals: 86: 14-34. Mauthner, M. H. F. (2011), The History of Kunzite and the California Connection. Rocks & Minerals: 86(2): 112-131.